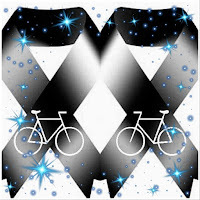 Eugene Flinn - South Dade Updates: Facebook group: Cyclists Against Distracted Drivers - C.A.D.D. 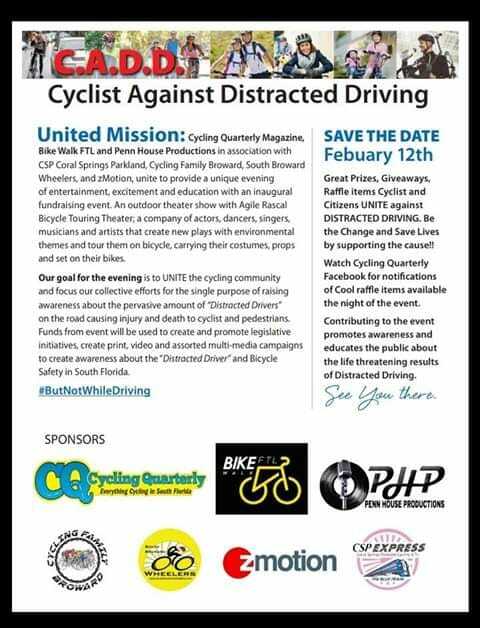 Facebook group: Cyclists Against Distracted Drivers - C.A.D.D. A Facebook page (C.A.D.D.) has been formed with the intent to fight against Distracted Drivers in the South Florida area. Cycling deaths are the catalyst for the creation, but this page is far more than cycling as anyone on our roads is at risk of injury or death caused by a distracted driver. Pedestrians, other drivers, passengers - children in child seats are at risk. C.A.D.D. is a collaboration page where your support, ideas and suggestions are highly welcomed. All groups need to work together to change the laws in Florida. There is now a platform where the South Florida cycling community can come together and address these issues as one.